Prior to relocating to Southern California, Joe Sasto dove head-first into the restaurant industry by mentoring under some of the Bay Area’s most acclaimed chefs and restaurateurs. He spent his undergraduate years at University of California at Davis, largely sustained by cooking gigs and a driving passion for food, which he learned at a young age cooking by his mother’s side. Following a break to travel through Europe, Sasto brought his newfound international inspiration to Quince, where he started at rustic Italian sister-restaurant Cotogna, before spending three years at the three-Michelin-starred restaurant. 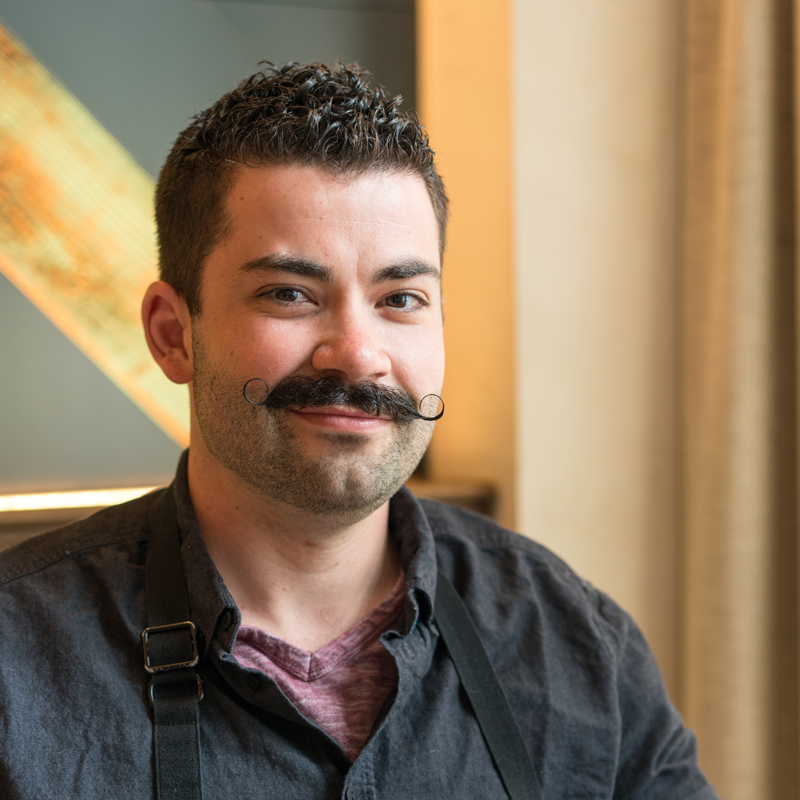 Under Chef Michael Tusk, Sasto was trusted to manage the handmade pasta program at Quince, learning the ropes and roots from one of America’s most celebrated Italian-influenced chefs. As Executive Sous Chef at Lazy Bear, Sasto maintained his strong, cultivated relationships with local farmers and is passionate about showcasing their work on the plate. At both Quince and Lazy Bear, Sasto has been an integral member of the team, impacting the rise from one to three, and one to two Michelin stars, respectively. After finishing in the top three of “Top Chef, Season 15” Joe took the helm as the executive chef of Adam Sobel’s new Beverly Hills restaurant, Cal Mare; focusing on fresh handmade pasta, and influences from coastal Italy.